Assolato: This was described by someone as a ‘sunny dry day’. What I got instead was a rather light citrus and some sort of Iso E Super buzz. It was dry, clean, and reminded me of high-class toilets. Whoops. But I guess one could conceivably and very reasonably place a reed diffuser in a toilet in order to mask certain odours; after all, it’s called a ‘home fragrance’ for a reason. Well, my toilet smells of Shalimar (secret confession: I spray Shalimar into the water when I take a bath – an extravagant waste, no doubt, but it’s one of those little things that turn a bad day into a good one), so Assolato is definitely not for me. Mandarin: Neroli and petitgrain! Mandarin smelt like the perfect eau de cologne, bitter and sweet in equal parts. It was a refreshing pick-me-up that I thoroughly enjoyed, save for the misnomer, for I couldn’t smell any mandarins at all. I dare say placing Mandarin in the bedroom would be perfect – imagine coming home after a long day at work, entering your bedroom, and having a jolt of lightning hit you! Instantly refreshed! Cirmolo (pronounced something like cheer-molo, but with lots of Italian flair that I can’t pull off): Cirmolo was the hands down winner of the lot, and this was the sentiment shared by most of us doing the sniffing. I got an iris-y, whisky note up top that was very reminiscent of Frapin’s 1697 (thanks for pointing that out, Oxana!) Compared to the rest of the line, which mostly just vanished into nothingness after some time, Cirmolo performed a magical pirouette and transformed into the bark of an aged oak tree, with just the right amount of a gourmand and spice touch to add some warmth to the fragrance. Love love love. Fichindia: After the joy of experiencing Cirmolo, Fichindia was a letdown. It was supposed to conjure figs, according to the description provided, but what I got instead was something white, prickly, and vaguely metallic. I’d give it points for being metallic, but it somehow reminded me of Sécrétions Magnifique at a 10% dilution, so I hurriedly stopped sniffing it. Mediterranea: If you’ve smelt D&G’s Light Blue, you’d know what Mediterranea smelt like. Lemon, lime, blah blah citrus… Banal. I’ve really got nothing more to add. Fiori Bianchi: Fiori Bianchi in Italian means ‘white flowers’, so I excitedly picked up the scent strip only to find that this smelt of… nothing. I was glad that I wasn’t alone in thinking my nose had decayed as a number of others echoed that they couldn’t smell anything besides the alcohol. If this were a fragrance it would be Eau de-Ar. I giggle hysterically at my puerile pun. 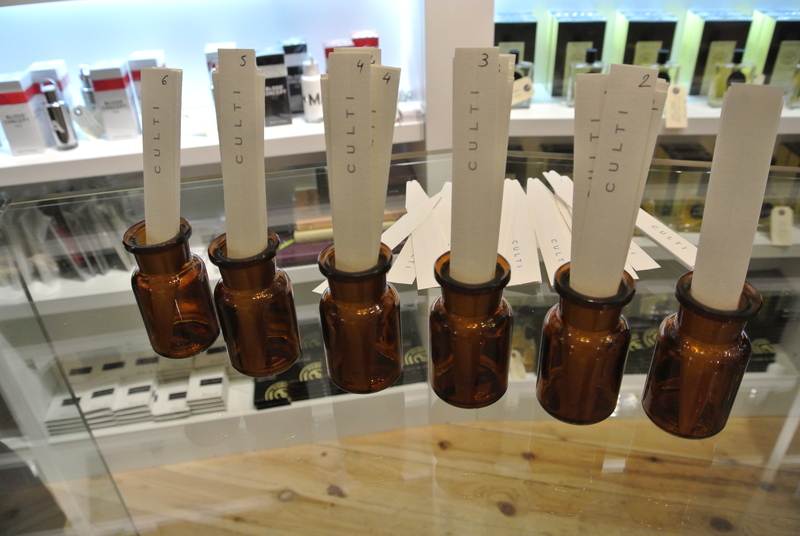 Well, so that was it – my impressions of the Culti Décor reed diffuser range. After smelling them once through, we proceeded with the competition, which was pretty much an exercise in smell recognition. I’ve organised something similar before during the perfume workshops I’ve held for my friends, where the person who managed to guess the most number of fragrances correctly won a L’Artisan Parfumeur travel spray of their choice (all part of my secret ploy to turn my friends into perfume junkies like me). I’m glad to announce that I, along with 2 others, managed to guess all the smells correctly, and so we each won a 250ml reed diffuser of our choice. Naturally, I picked Cirmolo. I reckon this should serve as a disclaimer of some sort, since I didn’t walk away empty-handed. 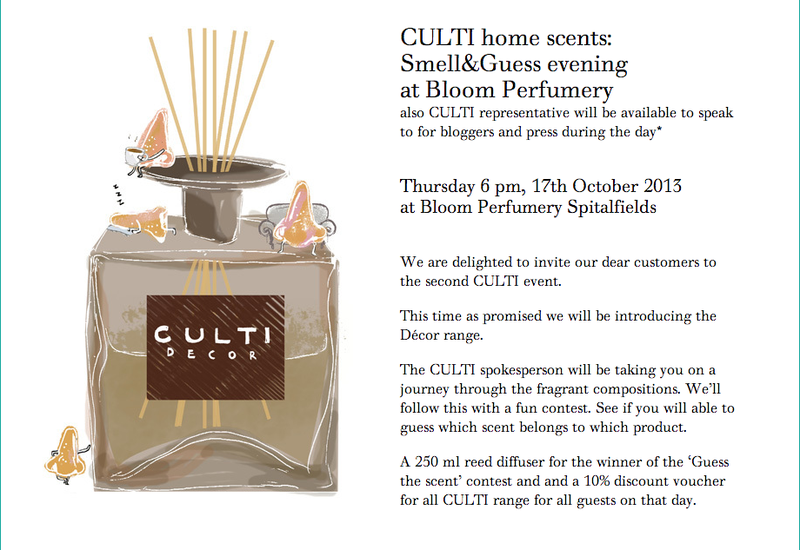 Being the inquisitive blogger that I am, I couldn’t help but ask Dan how he came about distributing Culti in the UK. It turns out he does represent other brands as well, in the area of interior design. Prying further, I found out that the parent company was Agrati Alessandro, which is based in Milan, and it was this company that was behind Culti. Well, kudos to an interior design company for thinking of fragrance as completing the entire interior design experience! 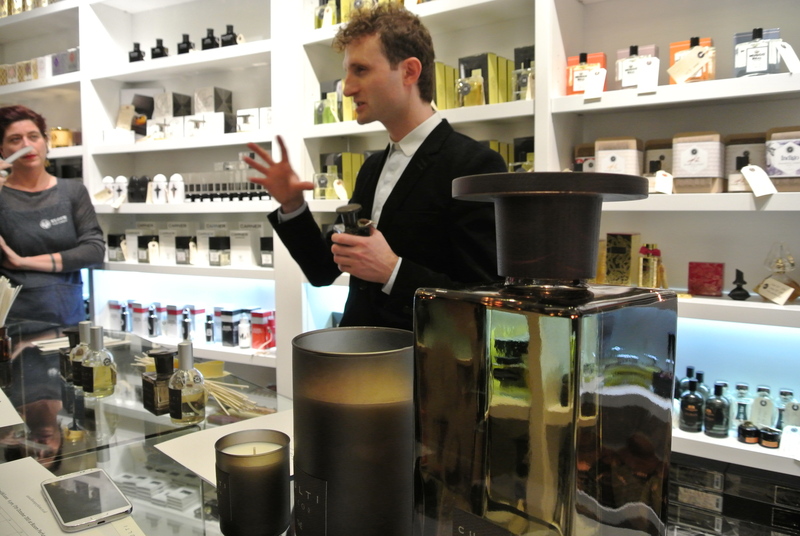 Dan also mentioned that one of Culti‘s aims was to ‘scent one’s entire life’, at different moments and times, hence the various types of fragrance products available (car fragrance, sachets to place in closets, drawers, room sprays etc.). I’m not quite sure I agree completely, since being scented in such a way might mask the scents of the world around us. I’ve taken days off wearing perfume in order to smell the world as it is, without interruption by something else, so I wouldn’t necessarily want my entire life to be scented artificially (I don’t mean artificial in the negative sense, but rather in the sense that something is manufactured). But I would definitely hope for my life to always be scented – would that my nose keeps coming across new and interesting smells, whether from the surroundings around me or from my perfume! This is NOT a factice! I also asked Dan if it were possible to spray the home fragrance on my bare skin, although upon examination of the packaging I note an ominous ‘for external use only’. His recommendation was that it was best not to, although he admitted that he wasn’t too sure either why it couldn’t be used on skin. Certain essential oils are toxic and a few are highly toxic when they’re taken internally in amounts over a few drops. This amount varies, but as little as one-half ounce of pennyroyal oil has caused death. When used in products for external use and applied to the area undiluted, toxic essential oils are unlikely to cause a major problem, although they may cause redness and irritation of your skin. Be aware of the following seven toxic oils — use them more cautiously or under the guidance of a qualified herbalist or aromatherapist (and never take them internally). So, if the fragrance used in a diffuser (presumably) has a lower percentage of essential oils than in the perfumes we use, surely it should be safe to apply on skin? That is a task I shall undertake in the next few days or so – wearing home fragrances that I’ve decanted out into atomisers! As the French say, “Prendre son courage à deux mains”, which can be literally translated as ‘To take one’s courage in both hands’! Hopefully nothing ill comes of this fragrant experiment, or The Smelly Vagabond might end up as extinct as the dodo. Are home fragrances worth buying? My personal take on this is that it’s nice to have a smell associated with a place, especially one as intimate as the bedroom. They might also be functional in that they do indeed help to mask unpleasant odours. But at the end of the day, I would perhaps prefer actually wearing the home fragrance itself, if I like it enough, since then I’d be able to carry around the smell with me! Call me strange indeed! What are your thoughts on home fragrances? Are they a worthy investment, or do you see them as throwing money into thin air? What’s your favourite home fragrance? Would you wear it? I’d like to give away the complimentary Culti Décor Assolato scented sachet that I received from Culti to a person, chosen randomly by random.org, who leaves a comment answering at least one of the questions above. Regrettably, I won’t be able to offer the reed diffuser up for the draw since it would cost quite a fair sum of money to ship it, and hey, I really like my Cirmolo! The draw will be open until GMT 12pm on Sunday, 27 October 2013. 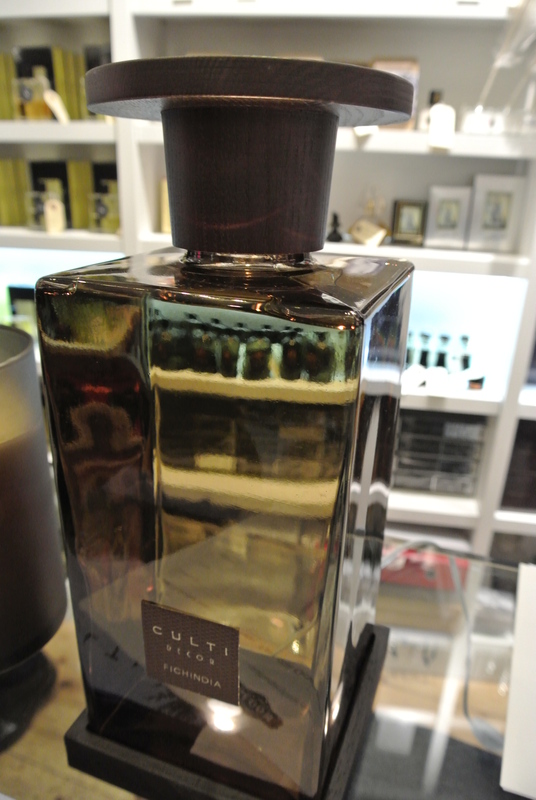 Culti Décor reed diffusers are available at Bloom Perfumery for £47 (250ml) and £59 (500ml). They should also be available at Harrods and Selfridges, according to Dan, although I haven’t had the chance to check that out for myself. The 500ml reed diffusers are also available at MiN New York for USD130. That’s a pretty candle! Out of curiosity, what does it smell like? You’re in the draw, Ben. I don’t have one favorite home scent but to me scenting my living space is more like throwing comfort into the air.I’ts my welcome home when i open the door.I do love winter by Slatkin and company in the winter time. I loved this article a lot and i’m going to go back through it and note on paper those you mentioned. Thank you! Glad to hear that you have a home fragrance you enjoy! Just to provoke your thoughts further, though, if you really liked your home fragrance, and really liked the smell, why not wear it on yourself? You’re in the draw, Yi Hui. Hmm tbh, I have not really thought about wearing my home fragrance out. I do like it a lot but it seems a little weird to be smelling “homely and cozy” instead of “light and subtly floral” (I usually like wearing Burberry Body). I love the fig scent from Rituals’ (Netherlands) home line. I have definitely thought about wearing it as a perfume but, never got the nerve to try. I also love to burn real frankincense (plain or Jasmine scented) as well as Amouage Boukhour in the Jubilation XXV scent (boukour is the middle eastern wood chips you burn). I purposely avoid testing the home sprays from Amouage because I am afraid I will love them! One time they sprayed some tissue paper with one when I made a purchase and it lasted for days! Try it! I’ve taken the plunge and started wearing my reed diffuser 😀 it doesn’t project much but it does smell better on skin, actually. And yes, spraying actual fragrance on some absorbent paper does seem a great way to perfume the room. I usually leave used blotters out 🙂 You’re in the draw, Dubaiscents!